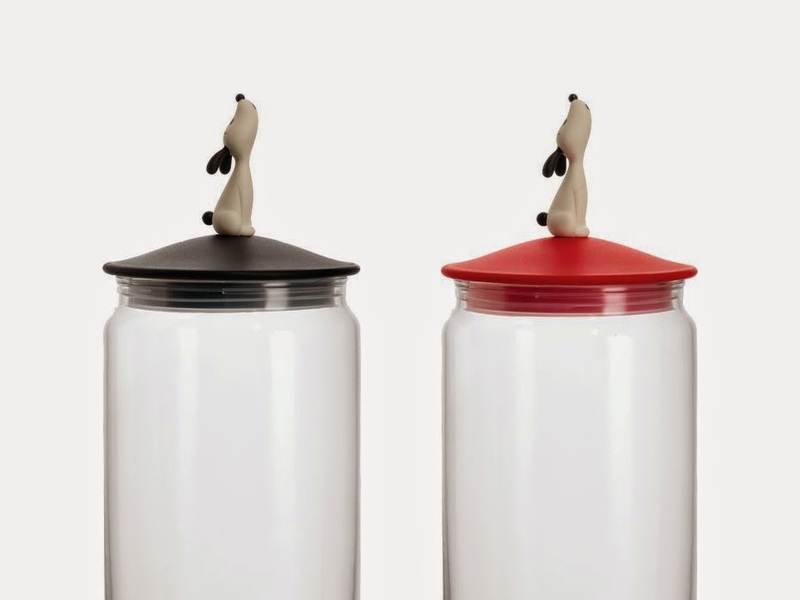 From NOVA68 comes the new Alessi Lula Pet & Dog Food Storage Container - Red or Black with a whimsical little dog that rests atop an airtight thermoplastic seal and dishwasher safe jar. 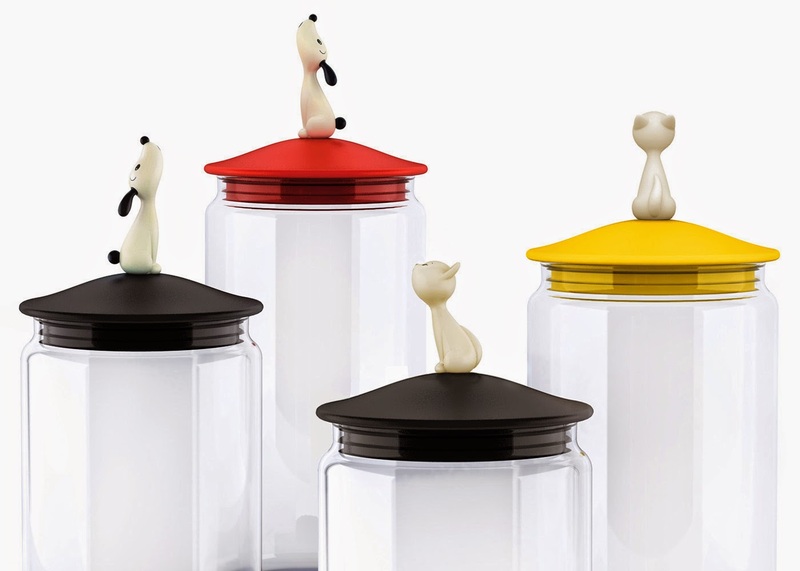 Alessi Lula Jar, Pet Food Container - Alessi AMMI21 in Red or Black. 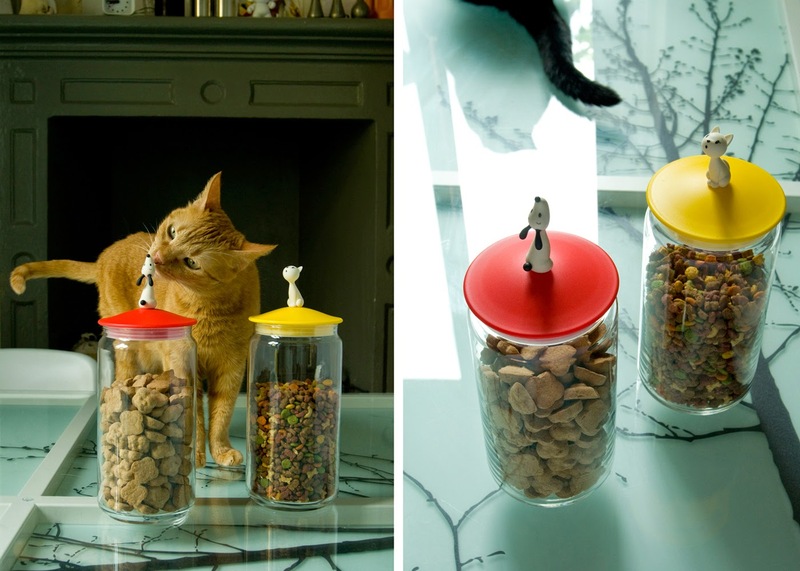 The Lula Dog Jar keeps dog food from getting soft in a stylish way. 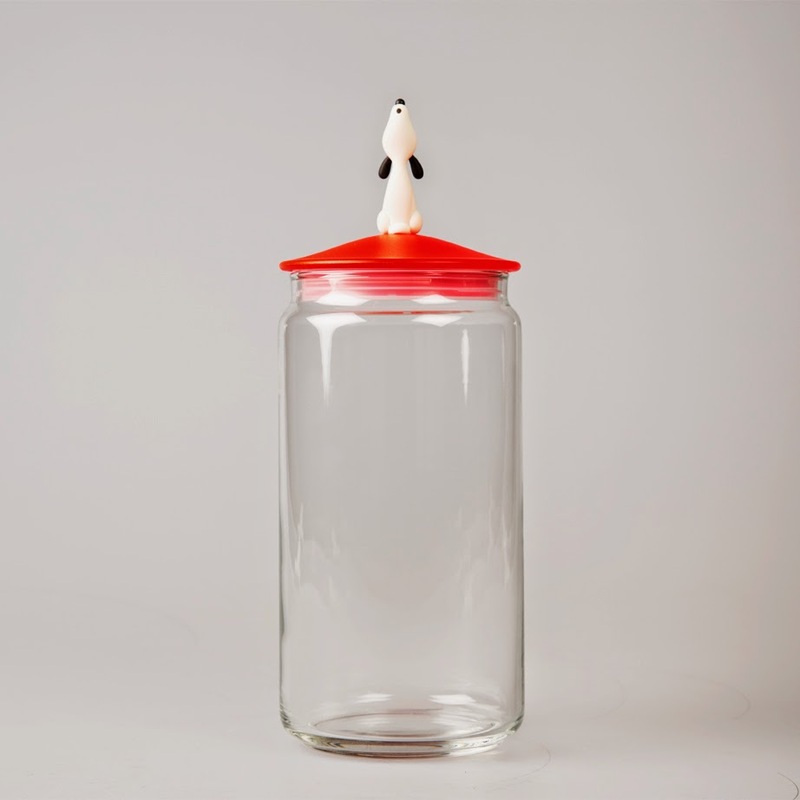 The jar can be matched with the popular Lula Dog Bowl which is also available in our online store. Features a red or blac lid with "Lula" the dog handle. The lid is made from thermoplastic resin and the container is made from glass. Easily holds the 3 lbs of dog food with a bit of room for scoops.